Here you'll find many of the products and services offered by KiteLife including subscriptions (video tutorial and prize drawing access), Clinic and Workshop registrations, as well as a variety of seasonal accessories that we ship directly from our office - to see our collection of logo memorabilia (shirts, hats, mugs, etc), please visit our Zazzle and Cafepress shops. 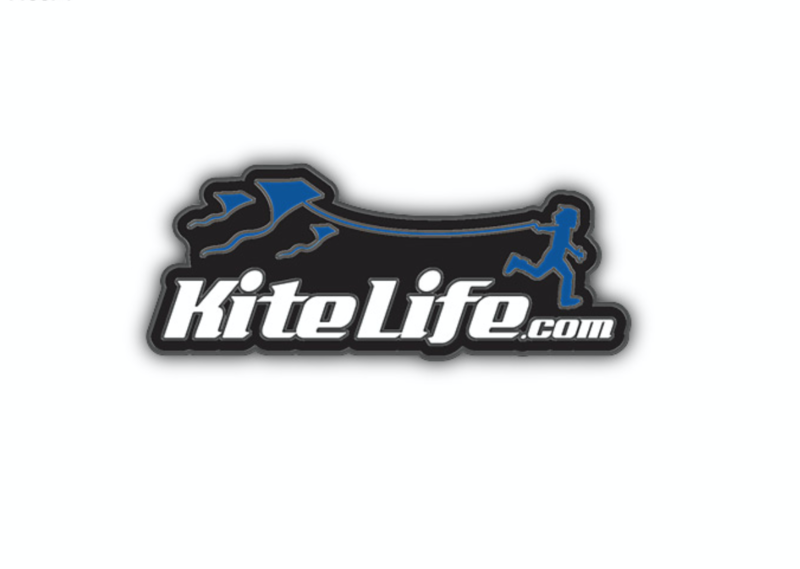 Pins with KiteLife logo, contoured black nickel base with hard enamel coloring (cloisonné) and two clutches on the back of the pin which makes this item very hard to lose - all proceeds go to support Team KiteLife equipment and travel expenses. Show your support for KiteLife with this high quality vinyl decal is UV resistant, its ideal for laptop covers, car windows and just about anywhere you'd normally put a sticker. Approximate size: 4.5" x 2.75"
NOTE: Cost of Shipping and Handling within the US included in price, foreign surcharge will be added during checkout. 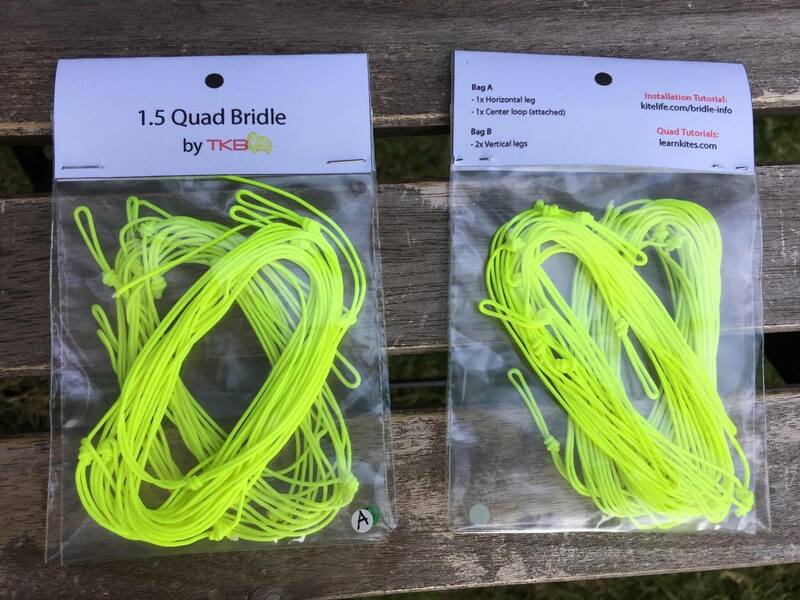 Custom made quad leaders (special adjustments on the handles) to John Barresi's specifications, compatible with any variation of the popular "1.5 quad" platform kites including those made by Revolution, Phoenix, Freilein, etc. Leader prices include S&H within the USA. 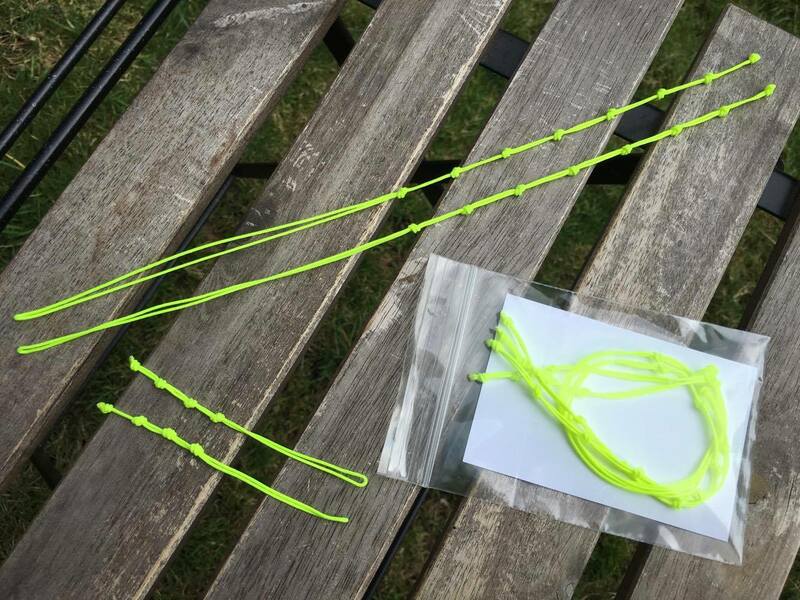 Package includes 2X top leaders and 2X bottom leaders, all made using cored LaserPro bridle line for maximum durability – 100# is generally sufficient for everyday quad flying, but 170# is also available for stacks and power kites. 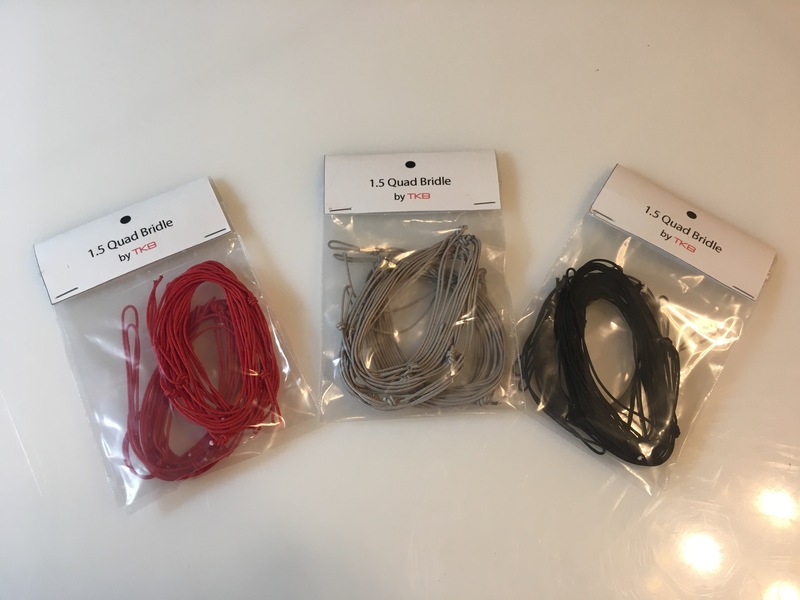 Note: Do not mix leaders from one package to another, each set is hand-tied to be perfectly matching but there are small variances from set to set so if you want to mix colors, please contact us with your request and we will try to accommodate you. 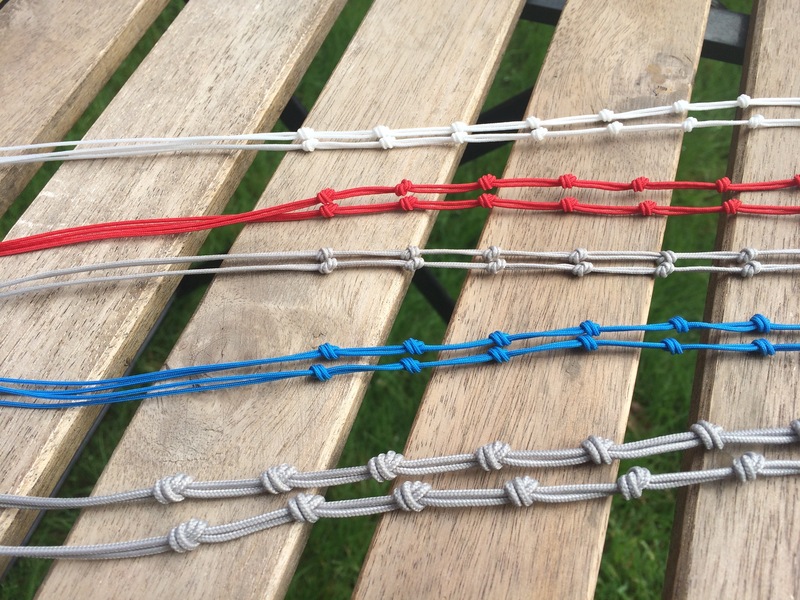 Tuning: If you’re not there already, start with your settings way out on the last knots then pull those top knots in one at a time until you are able to launch and fly. 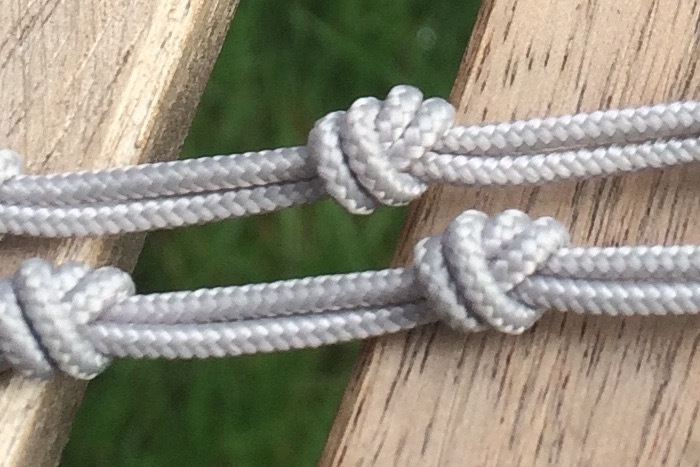 Every couple weeks, repeat the process and eventually your “happy knot” will end up further out as your skill increases. This will feel heavy and weird at first, but there is a reason the pro fliers fly this way and it’s worth the time spent.